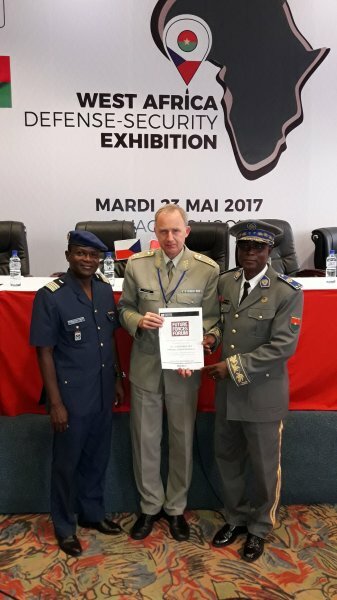 In the framework of the continuous mutual support and cooperation between the Czech MoD and the FUTURE FORCES FORUM, the presentation and invitation to FFF 2018 took place at the G5 SAHEL conference in Burkina Faso. 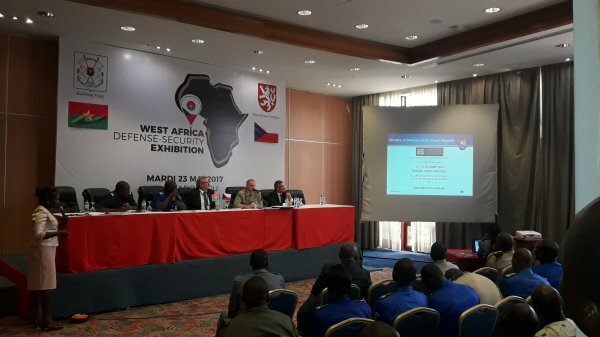 On 22 - 25 May 2017, a mission of the Czech delegation to West Africa was held within the Project for the promotion of economic diplomacy (PROPED). The Deputy Minister – Head of the Industrial Cooperation and Organisations Management Division, Mr. Tomáš Kuchta, Deputy Chief of the General Staff - Inspector of the Czech Armed Forces, Major General Jaroslav Kocián, and the Deputy Minister of Foreign Affairs Dr. Lukáš Kaucký. 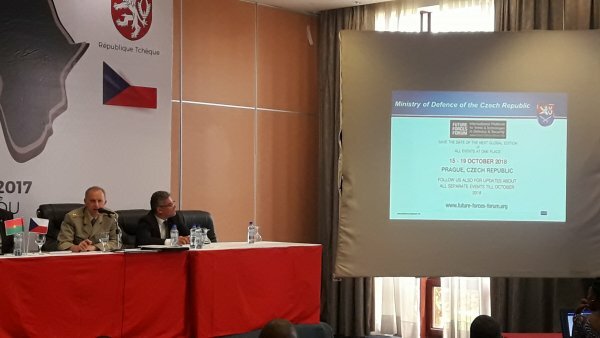 Major General Kocian was a keynote speaker at the West African Defence & Security Conference, which was attended by G5 SAHEL delegations (Mauritania, Mali, Niger, Chad, and Burkina Faso). The participants of the conference were acquainted with the FUTURE FORCES FORUM. During the bilateral meetings, an invitation to participate in the FFF 2018 was handed over to the Chief of the General Staff of Burkina Faso, GEN Zumarou SADOU, to the Chief of the General Staff of Niger, GEN Seyni GARBA, and to the Chief of the General Staff of Chad, GEN CdA Brahim Seid MAHAMAT was handed over on behalf of the Chief of the General Staff of the Czech Armed Forces.